A 27 Year Family Law Practitioner with Sol & Wolfe Law Firm, PLLP in Missoula, Montana. Terry L. Wolfe is one of Missoula’s top Divorce Lawyers and since 1989, he has represented well over a thousand people in Missoula and Western Montana. He is a highly experienced Family Law lawyer and handles cases involving divorce, child custody, child & spousal support. 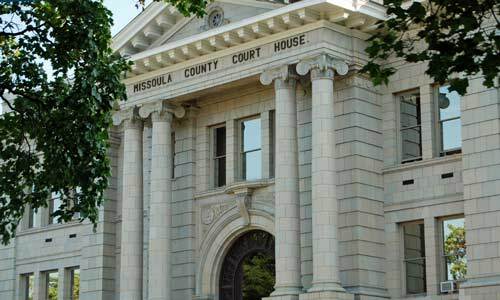 As one of Missoula's best attorneys, he works diligently to obtain good results for his clients without having them incur undue expense. Terry has had substantial experience mediating cases with clients and has acted as mediator on a number of occasions. Family Legal issues can be very stressful, so choosing an experienced, compassionate Montana Attorney who is highly knowledgeable in their field is important to the outcome of your case. Put your trust in Terry. He can help you get through this difficult time by providing you competent experienced legal representation. Terry’s goal for each client is to provide the best quality service possible. He believes in listening to his clients—to their personal situations and their concerns. He believes in educating his clients and informing them of their rights so they can make the best possible choice for themselves and their families. Of all the family lawyers / attorneys in Missoula, Terry is one of the best. Call 406-542-2520 or send an email using our online form. Terry L Wolfe is a respected Missoula family law attorney with Sol & Wolfe Law Firm, PLLP, with offices conveniently located in downtown Missoula at 101 E. Broadway, Ste #300. Business hours are 8:00 a.m. to 5:00 p.m. and your intital consultation is free! If you are seeking a divorce in Missoula MT or have any other family law issue, call today and schedule an appointment for a free consultation with Terry. He can help you get your life back to normal efficiently and cost-effectively.